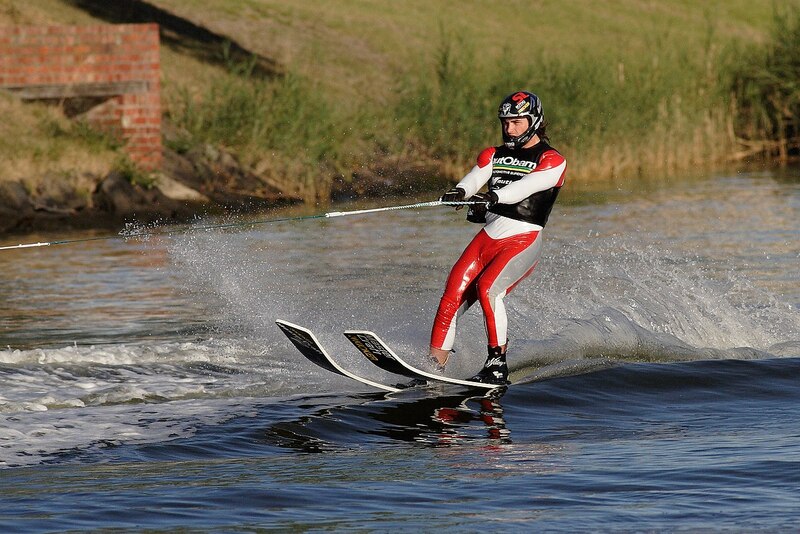 water skiing gives its participants the ability to test their hand at keeping their balance on a pair of skiis as they get pulled along by a motorized boat. Typically the water ski participant holds onto a single bar which is attached to the back of a boat, they can use the bar in order to steer themselves by pulling harder on one side of the bar than the other, although this is tricky to master. First invented in 1922, when Ralph Samuelson took a pair of boards and used them as skis, and took a clothes line which he attached to the back of a boat on Lake Perpin in Lake City, Minnesota. He experimented with different positions on the skis for multiple days until he finally found himself with a fully realised design for the water sport. A popular try out for tourists who are visiting many of the warmer counties of the world and have an adventurous streak, there are also a number of competitions in which professional water skiers compete in various types of competitions from course water skiing through to acrobatic contests where the skiers must perform in credible feats in the air in order to impress judges. The contests are typically slalom, jump or trick contests and each have their own nuances and skills required. One of the more recent trends in the water skiing world is, strangely enough, water skiing without using any skis at all. Barefoot water skiing requires the skier to travel at an even faster speed than usual as the surface area of a human foot is much smaller than that of a water ski, definitely not for beginners or newcomers to the sport, but for the seasoned veterans, barefoot water skiing adds an additional layer of challenge to test their skills out on the water. One of the most impressive feats attempted by water skiers in tournaments is the human pyramid stunt, where water skiiers must stand on each others shoulders while skiing along at high speed. This is definitely something that requires not only impressive team work, skill and coordination, but a serious amount of trust for your fellow skiiers. 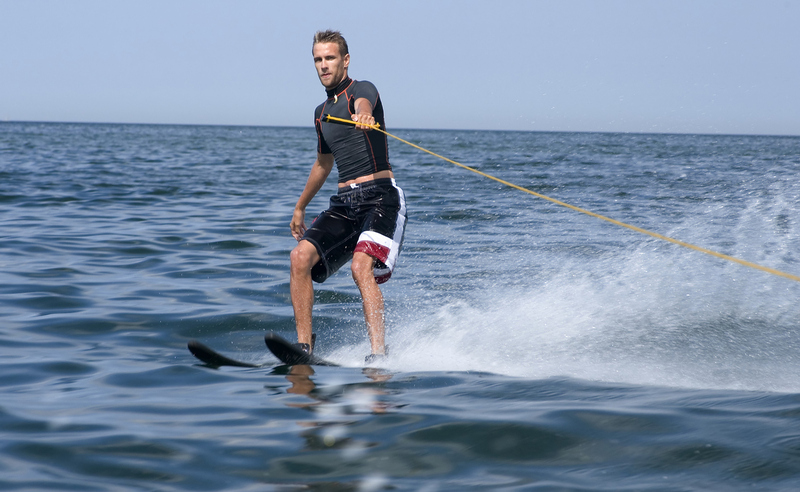 Keen to allow everyone access to water skiing, a number of equipment manufacturers have designed equipment specifically for the disabled, so depending on your disability you won’t necessarily have to miss out on any of the action.